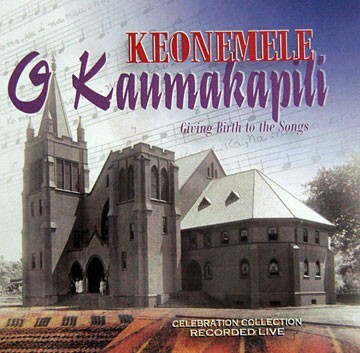 Enjoy the musical legacy of choral Hawaiian music which is a quickly fading Hawaiian tradition. The Kaumakapili Church Choir, under the direction of Kahaunani Schoenstein, shares the essence of Hawaiian choral music through the style and sound of the Choir and the modern sounds of the young adult members. Most of the songs were recorded live inside the Sanctuary. A great gift and a wonderful musical keepsake! Please contact the Church Office to purchase!